Menus and cutscenes are capped at 60 FPS while the gameplay is capped at 20 FPS. Launch the game at least once. Open the Profiles file with wxMEdit or other hex editor. Press Ctrl+F and fill the Find Hex String checkbox*. * Depends on the hex editor. Download DxWnd and extract it. Type in the name for it (e.g. 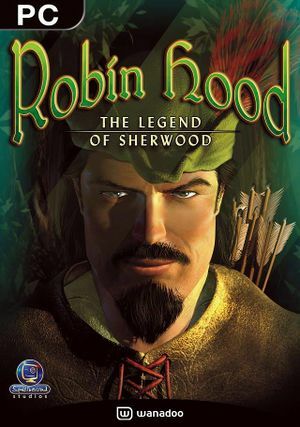 Robin Hood). Set the path to <path-to-game>\Game.exe. Under position specify the X, Y position of a window for the game and Width (W) and Height (H) of the window. Under Window Handling, check Modal Style. Under Color management check Set 16BPP RGB565 encoding. Set the Cursor visibility to Hide. Minimize DxWnd and launch the game. FX, Dialogue, Music and Comments. GOG.com version and local retail release. Download a modified DDraw wrapper and extract it. Copy aqrit.cfg and ddraw.dll to a folder where you have installed the game. If you're using Windows 8 / 8.1 / 10 start the game with DxWnd (can be set to fullscreen). See Windowed. Download the GOG German Fonts and extract it. Copy the files into the Data\Interface\Fonts folder contained where the game is installed. There is a bug inside the English font set which may hamper performance. Alternatively, you can use this fix with font files from any non-english localization. ↑ 2.0 2.1 File/folder structure within this directory reflects the path(s) listed for Windows and/or Steam game data (use Wine regedit to access Windows registry paths). Games with Steam Cloud support may store data in ~/.steam/steam/userdata/<user-id>/46560/ in addition to or instead of this directory. The app ID (46560) may differ in some cases. Treat backslashes as forward slashes. See the glossary page for details.